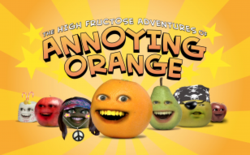 Tom Shephard hired Andy to write music for Dane Boedigheimer’s “The High Fructose Adventures Of the Annoying Orange” on the Cartoon Network. Andy scores and regularly writes songs for “Annoying Orange.” Vocalists on these songs include Weird Al Yankovich, Alice Cooper, Bret Michaels, Dave Grohl, Maria Menounos, Felicia Day and many others. Bobcat Goldthwait asked Andy to write and produce songs for his film “God Bless America” starring Joel Murray and Tara Lynn Barr. Andy also appears in the film as the bandleader on a T.V. show and meets an untimely demise at the hands of Joel Murray. 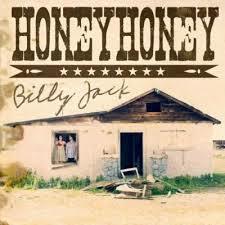 Andy’s friends Ben Jaffe and Suzanne Santos asked him to play harmonica and drums on their band Honeyhoney’s “Billy Jack” album. Andy and Tom Kenny co-wrote the SpongeBob SquarePants song “Don’t Be A Jerk (It’s Christmas)” which was released during the 2010 holiday season. 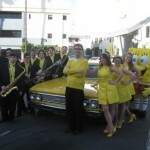 This photo was taken after a performance by SpongeBob and the Hi-Seas on the KTLA Morning News in Los Angeles. 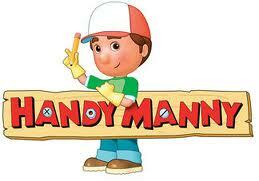 Andy and Tom Kenny write the songs for Disney’s “Handy Manny,” a children’s cartoon featuring Wilmer Valderrama, Tom Kenny, Dee Bradley Baker, Carlos Alzaraqui, Katie Soucie, Grey DeLisle, Nike Futterman and Fred Stoller. 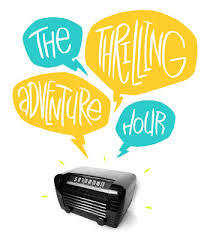 In 2010, the Thrilling Adventure Hour shortened its name and moved to Largo at the Coronet, where the monthly shows continue with Andy leading the Andy Paley Orchestra and writing songs and score for the show. 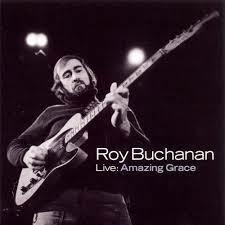 Roy Buchanana’s “Live: Amazing Grace” was released in 2009. It includes songs that Andy plays drums and/or piano on when he toured the world with Roy Buchanan in the 70s.